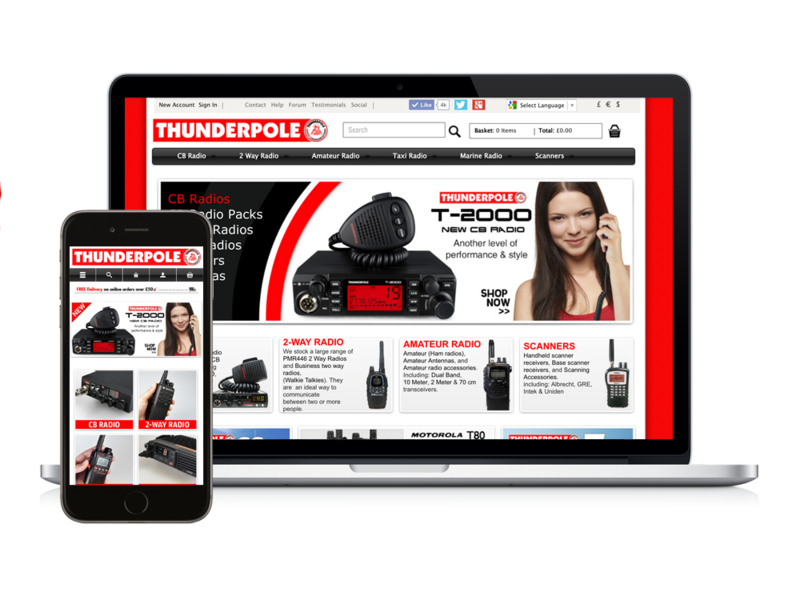 Thunderpole needed an online shop to sell CB radios and accessories, and promote their brand. We created a fully featured online shop as part of our ‘Enterprise’ ecommerce package. The multi-currency site now has over 1000 products listed and takes orders from all over the world.